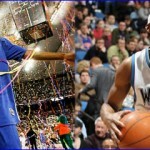 1 » As a versatile, affordable swingman, former Florida Gators forward Corey Brewer has already been traded twice in his nine-year NBA career and may be on the verge of being moved a third time. According to ESPN.com, the Minnesota Timberwolves put Brewer on the market Wednesday night with Cleveland, Houston and the Los Angeles Clippers emerging as the “most interested suitors” for his services. Brewer is earning $4.7 million this season and has an option on a $4.9 million salary in 2015-16; however, it is believed that “teams would hope to persuade Brewer to waive” that option in order to “help facilitate the trade” from a bottom-basement team to championship-caliber franchise. It is believed that he will consider such a move, which would allow him to reach free agency a year sooner. Brewer is averaging 10.5 points, 3.9 rebounds, 3.3 assists and 2.3 steals per game this season, though he is shooting just 41.8 percent from the field and 19.5 percent from beyond the arc. His versatility and ability to swing momentum in a flash is a valued asset that should lead Brewer to a team that could help him win his second pro title. 2 » Speaking of Brewer, here he is in a game this week taking seven steps on his way to a fastbreak dunk off a steal at midcourt. He was not whistled for traveling. 3 » Former Gators tight end Cornelius Ingram, whose promising NFL career was derailed by multiple torn ACLs both at Florida and as a professional, is finally back in football. On Tuesday, Ingram was named head coach of Hawthrone High School. “This is my purpose in life: to reach these kids and help them in life,” he told The Gainesville Sun. 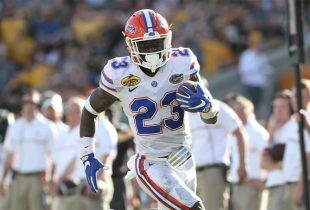 “It is one of the best decisions I have ever made.” A Hawthorne, Florida, native who grew up just 20 miles outside of Gainesville, Ingram fulfilled a dream by playing both football and basketball for the Gators. While rehabilitating from his multiple injuries – and after he officially ended his playing career – Ingram spent almost all of his free time in Hawthorne trying to better the local community. 4 » Former Florida center Patric Young looks to be doing well in Turkey as he begins his career with Galatasaray Basket. Check out these two alley-oops from NBA veteran point guard Carlos Arroyo. Brewer seems like he would be a good fit in Cleveland. On some level I almost hope he gets traded to Houston because I am seeing Houston play at Memphis the day after Christmas, but then I would be rooting against him. Good to see Patric still playing. Is there any chance he makes it back to the NBA? to reach out to Ingram to set up a speaking engagement for his kids. I can’t imagine a better way to give back; especially during the holiday season.